Right now all that's in operation is the practice facility - albeit a very nice one - used by the men's and women's teams at Mississippi State University. Within a year, though, that will change as this town of about 12,000 residents can boast of having one of the premier golf destinations in the United States. 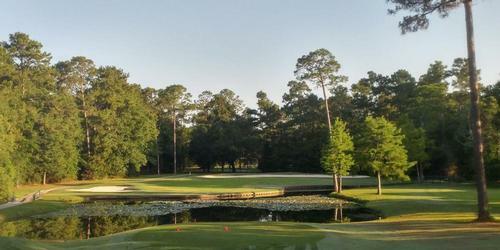 Old Waverly Golf Club, which opened in 1988, already has a fine course - one jointly designed by Jerry Pate and Bob Cupp that was good enough to host the 1999 U.S. Women's Open, the 2014 LPGA Legends' Handa Cup matches and the 2015 Southern Amateur among other big events. Old Waverly, however, will soon have a companion course across the street. Gil Hanse, the architect for the Brazil course that will host the first golf competition in the Olympic Games since 1904, has designed Mossy Oak as the companion course for Old Waverly. Its scheduled grand opening is Sept. 2, 2016 - a few weeks after Hanse's Olympic venue gets world-wide exposure. George Bryan, owner of Old Waverly, already has eight present or former tour players - among them Nancy Lopez and Larry Mize - lined up for the grand opening. The creation of Mossy Oak started in 2012 when a donor, who has remained anonymous so far, donated $800,000 to the golf program at Mississippi State. The campus is 16 miles from Old Waverly and its golf teams have been frequent visitors, even to the extent of hosting tournaments there. Though the school has its own course in Starkville, Bryan was invited to enhance the school program at his club and one thing led to another. "You don't want collegiate golfers wearing your course out, but we thought by building a new course we could do it,' said Bryan. Hanse wasn't as high-profile a designer then as he is now. He's designing the third course at Streamsong, in Florida, and the next layout at Bandon Dunes, in Oregon, while finishing up his work at Mossy Oak. 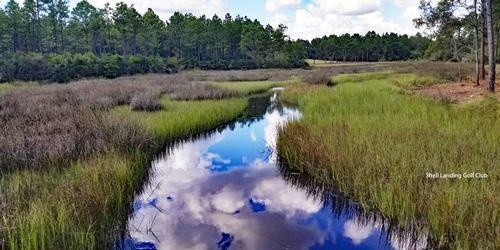 Streamsong and Bandon Dunes are plum projects, but Mossy Oak came first. Hanse lives in Malvern, Pa., but has a close friend from Tuscaloosa, Ala., who is an Old Waverly member. Hanse was asked to take a look at 180 acres across from that course before the club had even acquired the land. He liked what he saw, and the financial issues were resolved in short order as well. It seems like lots of people wanted to be a part of this project. Bryan expects the Mossy Oak project to wind up in the $10 to $12 million range. It started after 76 founding members, some from as far away as Utah and California, each put up $100,000. Among the founders is TV personality Steve Harvey and Bus Cook, the agent for retired football star and long-time Mississippi resident Bret Favre. Another NFL legend, Jerry Rice, is an Old Waverly member. All figure to play some sort of a role in getting Mossy Oak launched with a bang. The course will be something special. That was obvious after a tour with Bryan in late fall, a week before work on the layout would be halted for a three-month winter break. Prior to the acquisition the property comprised the Knob Hill Dairy Farm. There were 10 knobs on it, and that's what caught Hanse's attention. The old barn that had been there was taken down, but a picture of it is on the wall in the Mississippi State practice facility. Hanse started with some 150-year old oak trees, which will be protected, and two lakes, the bigger of which is seven acres and very deep. It'll eventually be stocked with trophy bass. There was also an old grain bin, which was covered with hand-molded brick and will become a symbol of the course. Eventually it'll be covered with moss. With those starting points Hanse created a course that will measure 7,500 yards and have five sets of tees and 95 bunkers. The sand for them was taken from a river six miles away. The layout will have two par-5 holes that measure over 600 yards from the back tees and the shortest of the par-3s will play at 169. A focal point on the course will be the No. 7 tee, from which every hole on the course can come into view. A concrete path will encircle the course for servicing purposes, and the paths inside will be of crushed stone. Native wildflowers will be evident throughout the course. For now the Mississippi State practice facility is the only sign of golf being practiced on the premises. Old Waverly's two well-regarded veteran instructors, brothers-in-law V.J. Trolio and Tim Yelverton, work with the collegians as well as the members. The college players have the benefit of five practice greens, one of which measures 16,000 square-feet, and a 6,400 square-foot already well-decorated clubhouse. The double-ended range, about 400 yards deep, will eventually be shared with Mossy Oak players. 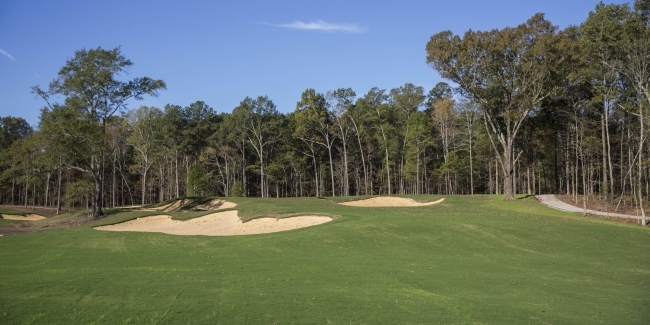 Old Waverly members will pay a greens fee to play at Mossy Oak, and revenue there will also come from both public play and resort guests. Bryan expects the two courses to draw about 35,000 rounds per year but the layouts will be much different. 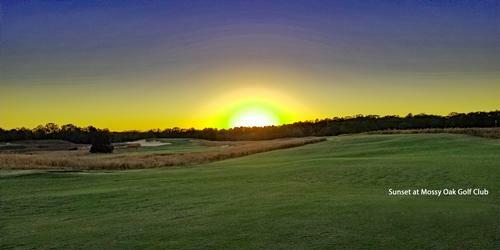 "Mossy Oak will be like (New York historic venues) National Golf Links and Shinnecock Hills - very wide open with a lot of movement,' said Bryan. Eventually Mossy Oak will have its own two-story clubhouse with a rustic contemporary look and a cutting edge spa nearby. The Hanse Cottage on the course will provide 3,000 square feet for resort guests in its four bedrooms and big common area. Another six cottages along Magnolia Drive will provide more lodging options in addition to those already available at Old Waverly. With that kind of facility upgrade Old Waverly and Mossy Oak could attract big tournaments again.